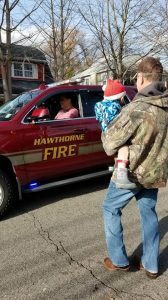 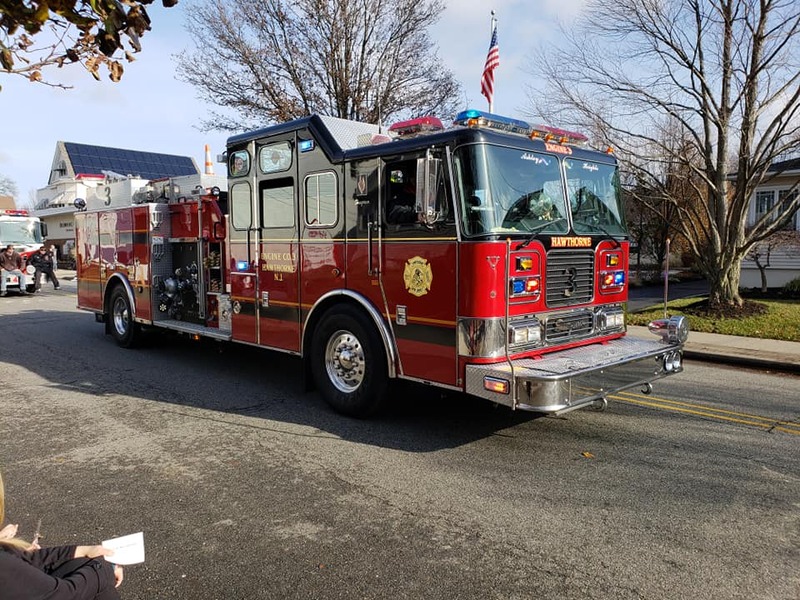 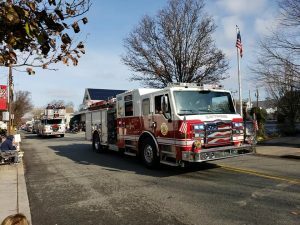 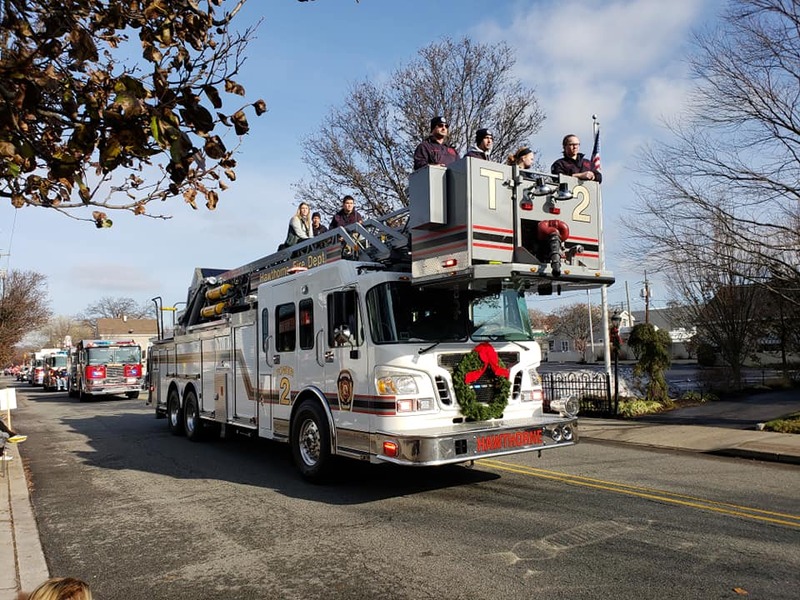 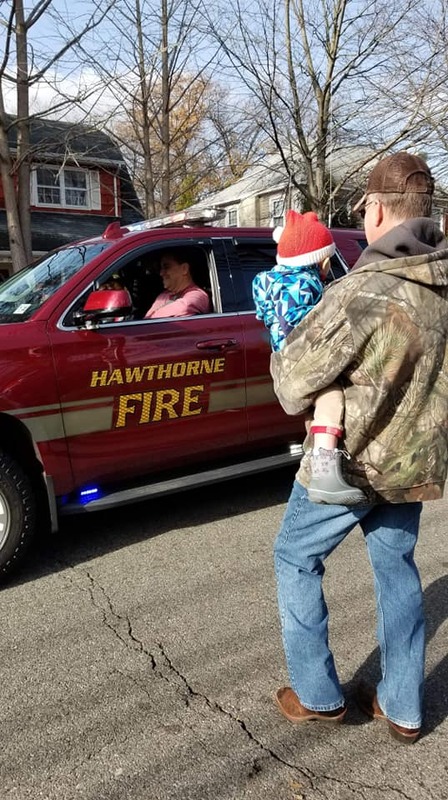 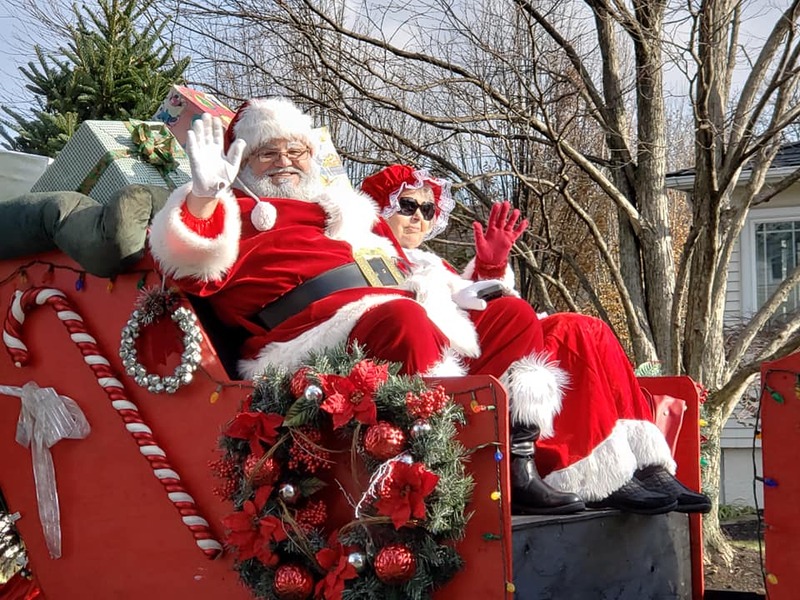 12/01, On a cool and sunny December morning, Hawthorne Fire Department members from Engine 1, Tower 2, Engine 3, Engine 4, Rescue 5 and Ladies Auxiliary participated in the Hawthorne Chamber of Commerce – 33rd Annual Santa Parade. 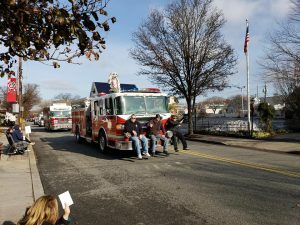 Special thanks to Hollie the firefighter clown and Sparky the fire dog both brought smiles to the kids. 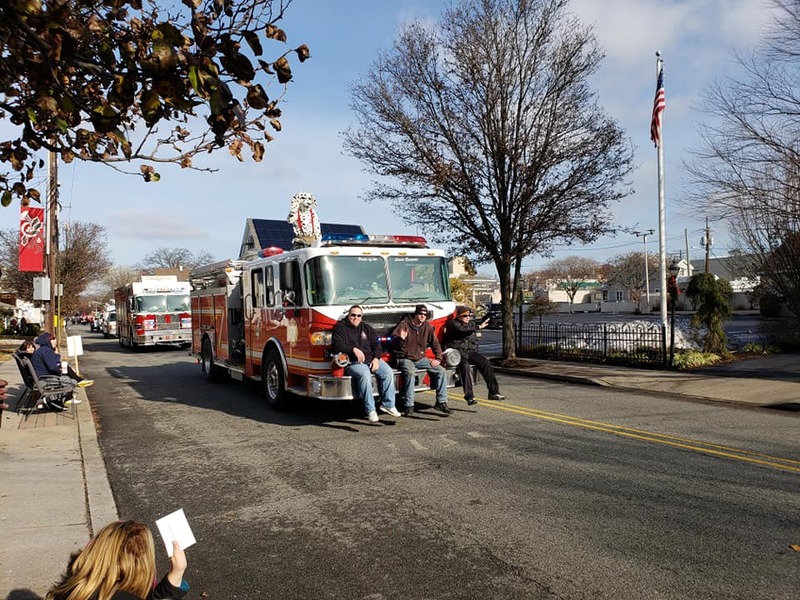 Chief Speranza would like to thank you for your support of the event.